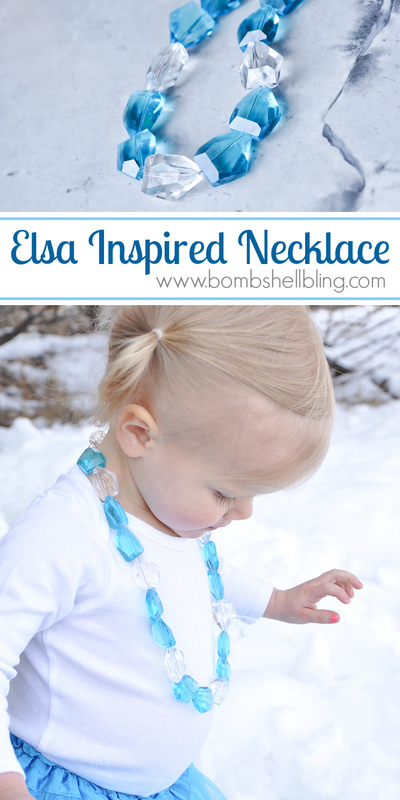 Let’s take a look at how you can make an Elsa Inspired Necklace for your little lady (or yourself!) as well. 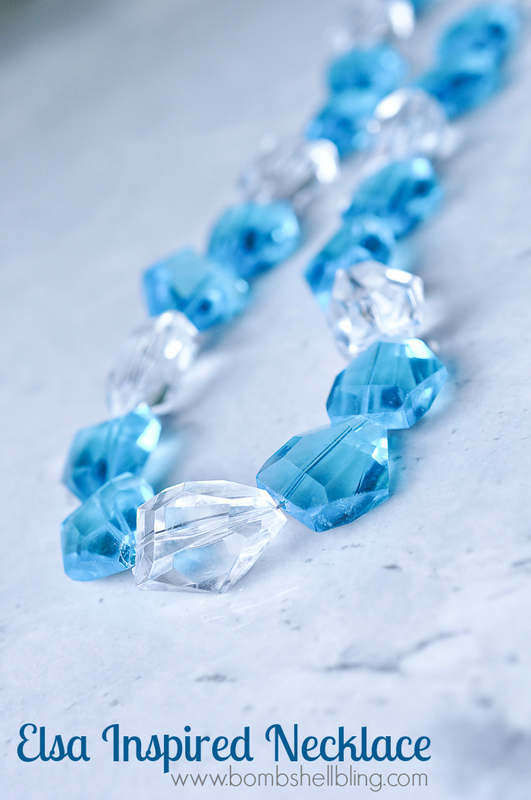 For this necklace I used two strands of the blue “ice” beads and one strand of the clear, both found at Hobby Lobby. It was about 20 inches in length once it was finished. 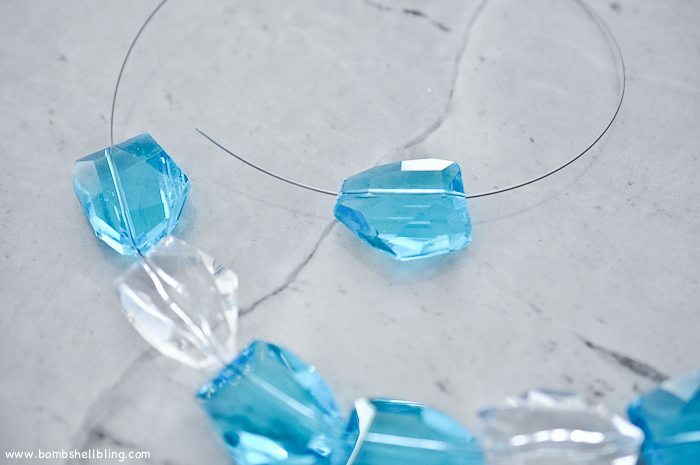 You will also need beading wire, two crimp tubes, two silver beads for the ends of the necklace, and a clasp. Mine is a magnetic clasp that I got long ago at a trade show. 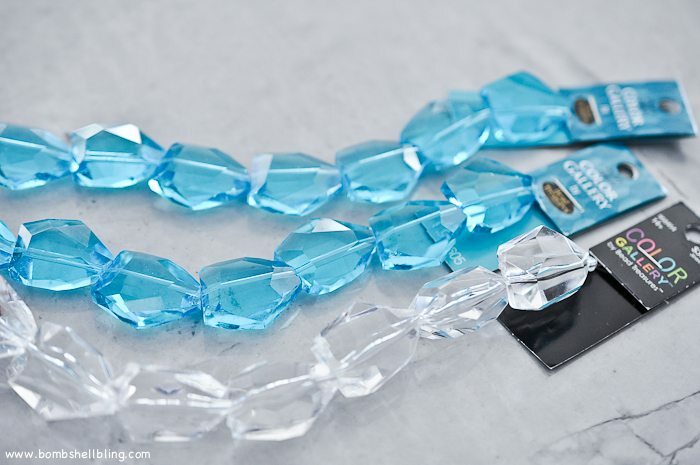 You can find plenty of clasps at Hobby Lobby as well, as well as basic jewelry making supplies. 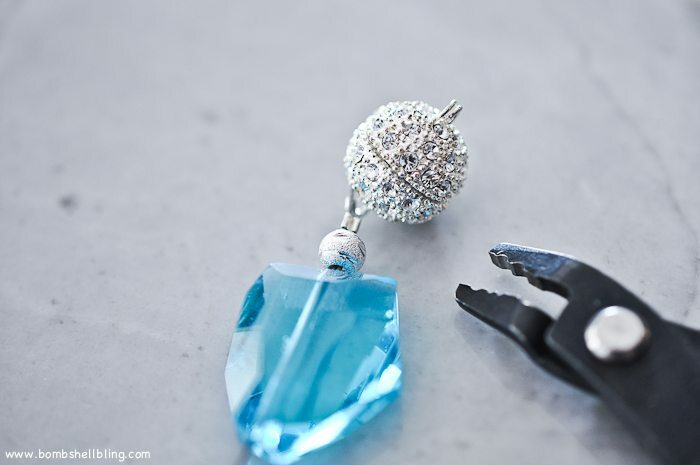 You will need a set of crimping pliers and wire snips. 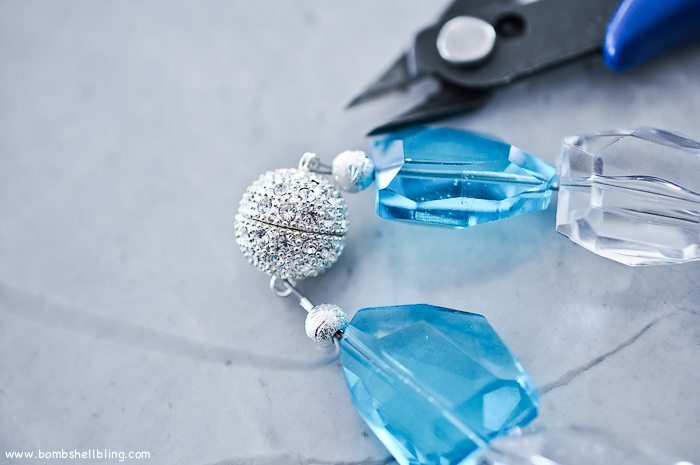 Simply lay out your beads and then start stringing! I made a pattern of two blue beads followed by one clear bead. 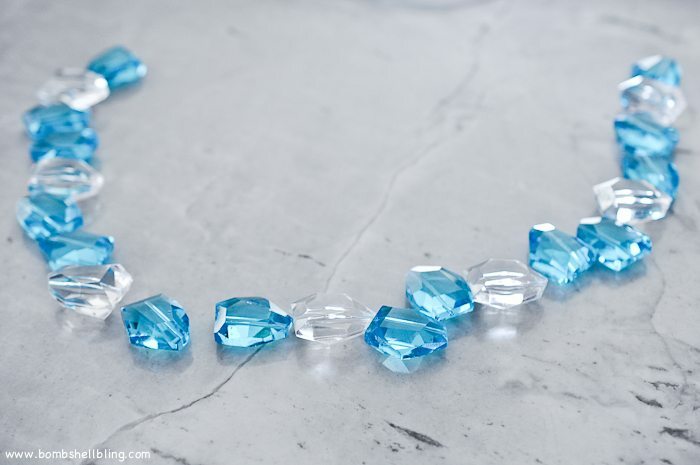 Make sure there is a small(ish) silver bead on each end of your necklace. 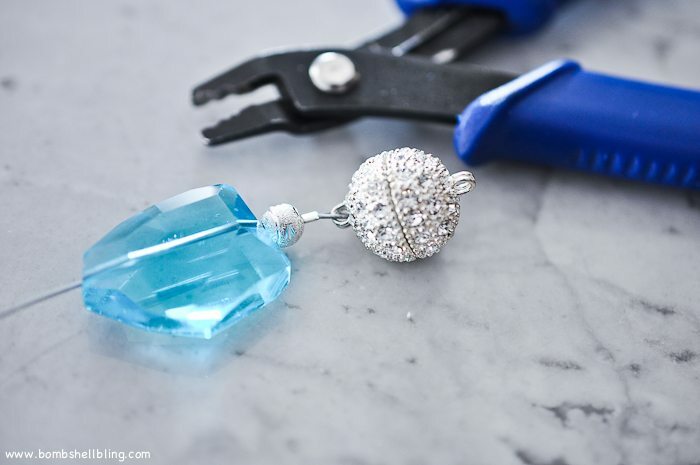 String the end of your beading wire through a crimp tube, through the clasp, and back through the crimp tube, as shown below. Pull the wire tight enough to close most of the excess wire space. 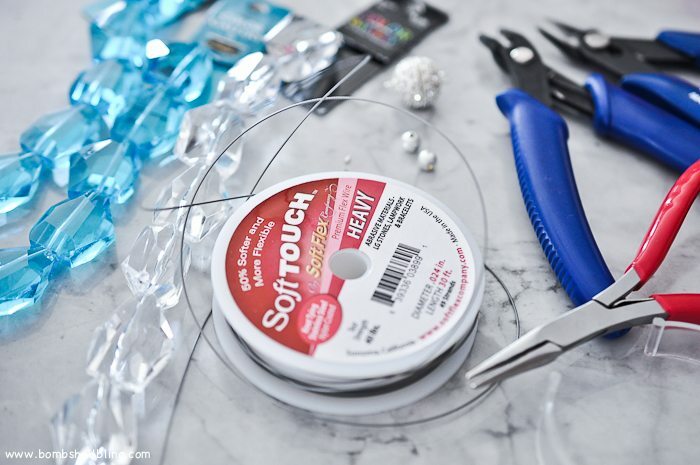 Use your crimping pliers to crimp the tube. First squeeze it with the dented section of the pliers, as shown. Then crimp it shut by squeezing it shut in the other direction using the smooth section of the pliers. Repeat on the other side, and snip off the excess wire with the wire snips. All done! Now just give it to your little princess and enjoy! 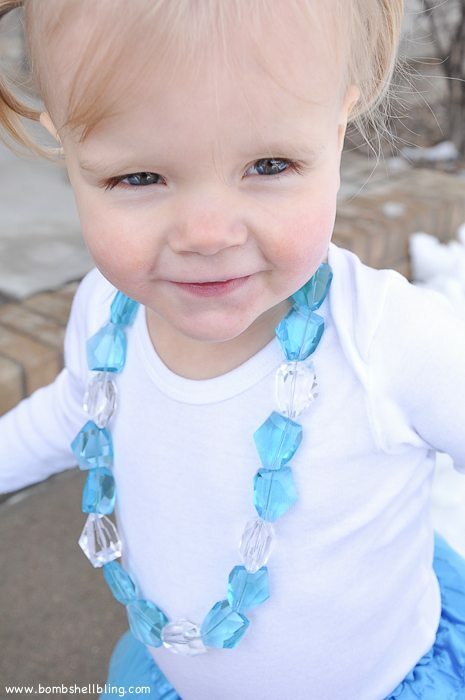 Isn’t my little Elsa the cutest?! If you liked love FROZEN then be sure to check out some of the posts below, as well as all of my “Disney Love” ideas and tutorials! If you love Frozen as much as we do, and you are thinking about taking your little ones to “The Happiest Place on Earth” to meet Anna and Elsa, then you should check out the travel agency Get Away Today. They have vacation LAYAWAY PLANS! Isn’t that brilliant?! Paying off your vacay a bit at a time makes it so much more realistic and affordable! 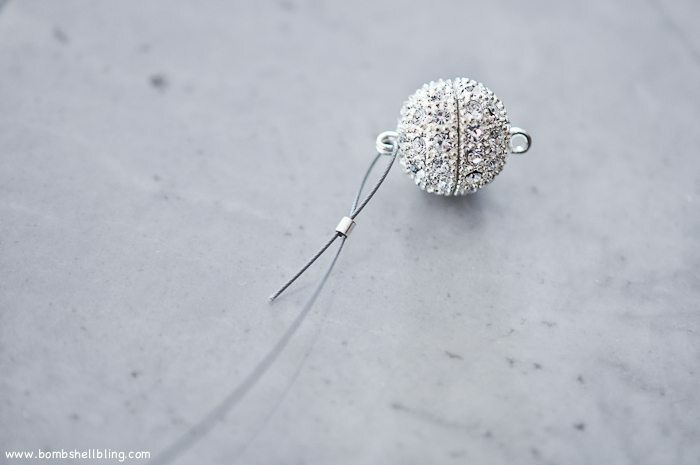 Check out their amazing discounts and packages, and be sure to use the coupon code BLING to get an additional $10 off of your booking!